Enjoy the holiday season in the Harz Mountains. 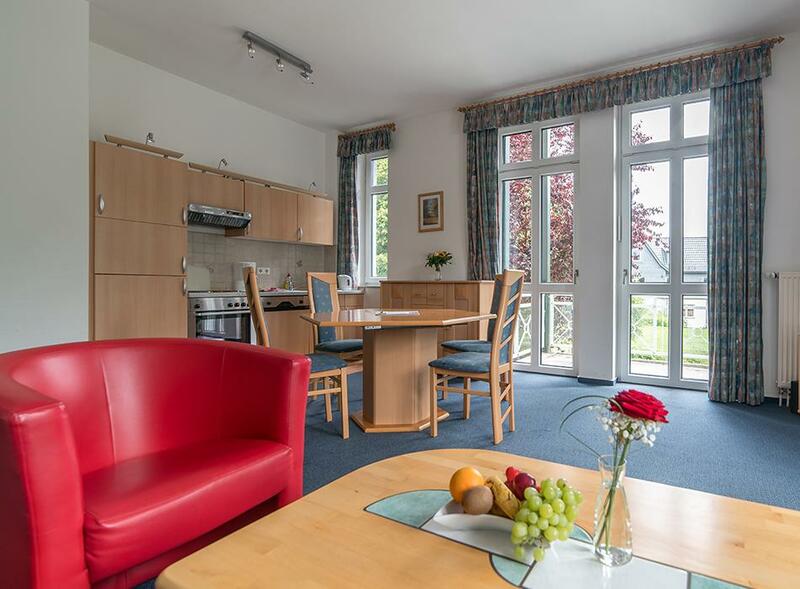 Enjoy a fully equipped apartment with the comfort of a hotel complex in our apartment hotel Tannenpark. All hotel services, such as bed service, intermediate cleaning or catering, can be booked on request. What is the difference between a holiday apartment and an apartment? With us, it is only a question of name. We rent these apartments as fully equipped holiday flats with a kitchen or kitchenette and one to three rooms. The hotel and holiday apartment complex Tannenpark has 37 comfortably furnished, spacious and inviting holiday apartments for 1 to 6 people. You will be accommodated in the main house or in the branch. The size varies between 26 and 102 square meters. All living units have a shower and/or a fully equipped bathroom, WC, balcony, landline phone, TV, a fully equipped kitchen – and many of them include additional extras such as toaster, microwave or dishwasher. Some apartments are accessible by lift. Accommodation prices vary from 65 € to 195 € per night and apartment. Minimum stay two days. Free wifi. At night, you’ll listen to the sounds of the forest and the sound of the wind. At Tannenpark, you’ll sleep undisturbed and peacefully. On your holiday you should feel at home – or even better. Therefore, we provide you with spacious and comfortable apartments as well as friendly service. Surrounded by Harz forests and colourful mountain meadows on the outskirts of Tanne, nature is just below your balcony. Your canine friends will also feel comfortable in our apartments. Spend your holiday with your dog in the Harz Mountains. Beautiful paths begin at the hotel.